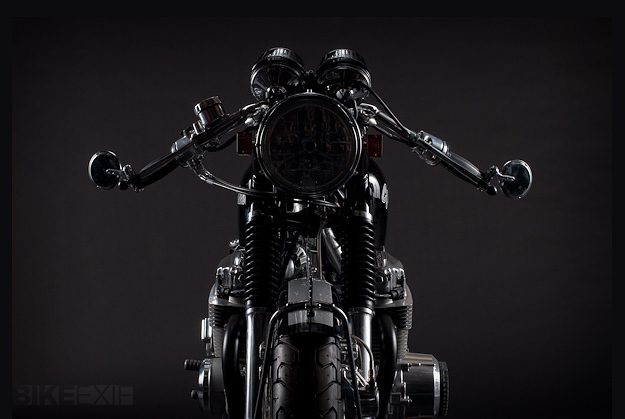 Steve ‘Carpy’ Carpenter is a household name in cafe racer circles. Mostly because he’s a traditionalist and a perfectionist. 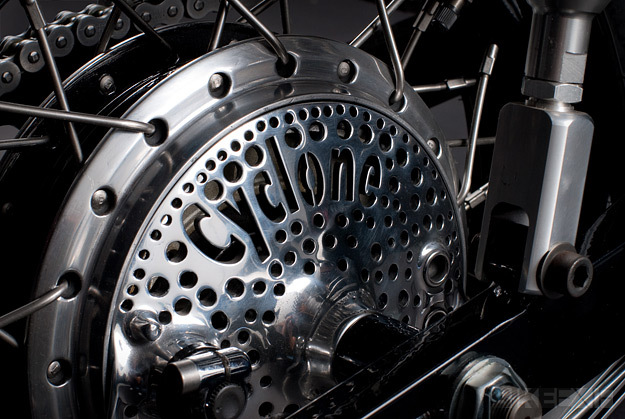 When you order a custom motorcycle from Carpy, you’ll get a bike in better condition than the day it rolled off the factory floor. 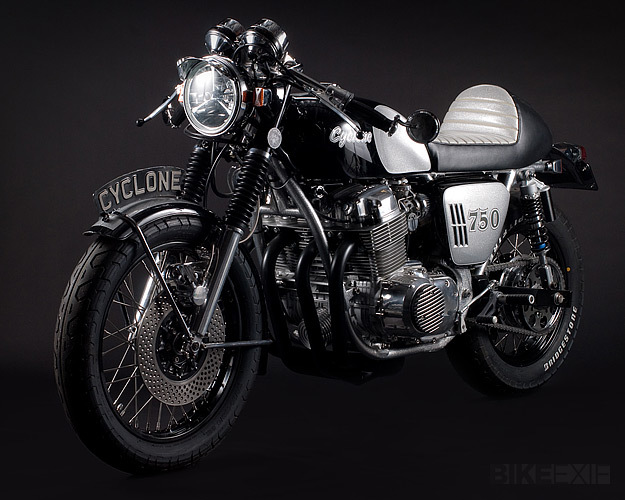 The latest bike to leave Carpy’s workshop in Anaheim, CA, is ‘Cyclone’ and it’s a 1970 K0 model—one of the earliest CB750s, with the SOHC motor. I’m guessing that this particular bike is also one of the 7,000 that had ‘sandcast’ engine cases—Honda hedged its bets on setting up diecast tooling before it realized it had a hit on its hands. Carpy stripped this CB750 down and reconditioned or replaced every single part. 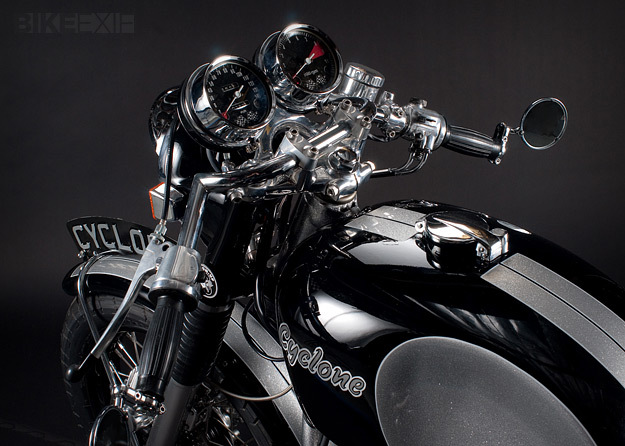 He fitted one of his proprietary boxed swingarms (with a two-inch extension) and a complete new electrical system. The rear wheel has been upgraded to a fatter 16 x 3.5” item, giving the machine a heavier look at the back. 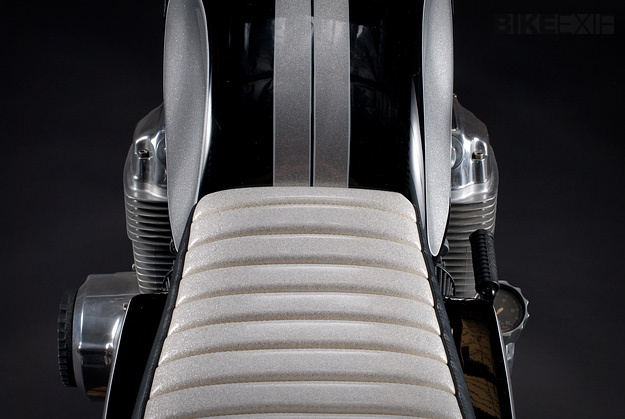 The paint is House of Kolor Silver Flake, and the seat has been neatly upholstered with matching silver tuck ‘n’ roll. 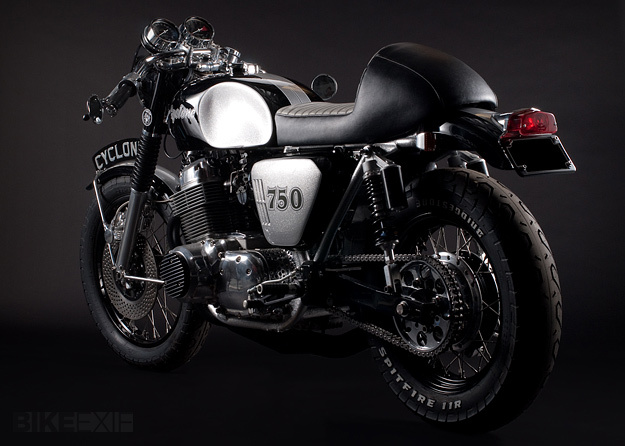 If you’re into the Ace Cafe scene, this has got to be the ultimate silver dream machine.